For this week, in preparation for the ICO we need to cover some things that might not be completely obvious to most some readers. There are four major types of blockchains –- Public, Permissioned, Private and Consortium. The differences of these have mostly to do with who can participate in the network – and to what level they can participate. On a blockchain, one of the most important “Actors” so to speak, is a member that is running what is known as a “full node” This usually means a computer that is running software that downloads a full copy of the blockchain, validates blocks of transactions. This function is called “mining” in a proof of work method of consensus – where a complex mathematical problem is attacked and solved, and “forging” in a proof of stake method of consensus, where a block is awarded based on an algorithm that takes into account the amount of “stake” a node has in the token in question. In a public blockchain, like Bitcoin, anyone can run a node and anyone can validate blocks. There is no “approval” mechanism and there is no “governance.” Same thing with Ethereum. There is also a degree of anonymity in a public blockchain. The nodes are not necessarily known and certainly not “validated” actors. In a “Permissioned” blockchain, those that are allowed to operate a node, and in some cases even those that are the client users of the network must have permission to do so. What they can do is largely decided on certain levels of permissions, and there is always some type of “validation” that must occur so that the organization or person running the node can be held accountable if necessary. There is also sometimes a level of commitment expected in a permissioned blockchain, with nodes that honor their commitment rewarded and those that do not punished in some way. In this type of blockchain, almost anyone can join and validate transactions, but they do so with permission and depending on what function they wish to provide, they undergo an appropriate validation. Then, there are Private blockchains. Private blockchains are operated and controlled by a single entity. You see this from organizations like banks that would love to use some of the aspects of blockchain technology but can’t accept the more public aspects, and so they wish to exert complete control over any aspect. Needless to say, this type of model has a healthy number of skeptics in the cryptocurrency and blockchain communities, for what you might consider political reasons involving decentralization and the concentration of power. Finally, there is another type – the “Consortium Blockchain.” This is more of a type of Permissioned blockchain – but it’s a bit of a hybrid. In this model, there are a group of validated, trusted nodes that are allowed to operate the network – but it’s usually a limited group, and it’s not a single, private organization. The organizations within the consortium must work together, and there needs to be rules for who can join and under what circumstances. Very often, the type of blockchain that is chosen for a project depends on things like trust, security, and outside regulatory forces. Of these four types, possibly the most complicate is the Consortium blockchain, because it would require a hierarchy to manage, as well as a sophisticated mechanism to ensure that all actors are treated fairly, and would discourage or perhaps even disallow factionism. Using this structure well, however, could go along way to solving some of the more trickier problems in certain vertical markets – as we will see in this week’s ICO. This is one of those ambitious ICO projects that intends to take on a large, difficult and complex problem – in this case it’s health care. Now, it should be understood that healthcare was one of the first things that early champions of blockchain techhology though of when they began to realize that block chain technology could be used for more than digital currency transactions. In fact, there is a provisional patent filed with the US Patent Office in May of 2014 that outlines the concept of a blockchain consisting of health care records as a chronicle of a person’s health care through their lives, validated through a proof-of-work mechanism based on the same consensus algorithm used by bitcoin. Needless to say, I’m greatly simplifying this patent, but the fact remains that this has been on the minds of blockchain architects for a few years. However, it’s only recently that we see actual blockchain applications appearing in health care – and it’s still very early. Difficulty in provided Value-Based Care due to data that is siloed and inaccessible to providers, as well as severe challenges in providing timely and accurate communication between providers. Monopolization of health care data, where a few data aggregators hold massive amounts of data and sell it at exorbitant rates to whomever will pay them. Inefficient insurance payments and reimbursements, such as Bundled Payments. The big problem with applying blockchain technology with healthcare, however, is the sensitive nature of the data, as well as the regulatory environment about that data – such as HIPAA and in placed like California even more stringent laws such as the CMIA, which overrides even some of HIPAA provisions to provide more privacy and penalties for breach. As a result of this, applying blockchain technology to health care requires a bit more thought to the underlying architecture and approach of using a distributed system to store data and to track and allow transactions. As we will see when we examine the whitepaper and network this requires a slightly more complex approach in the application of the blockchain. I’m not sure if you could come up with a more challenging use case for the application of the block chain than Health Care. It’s maybe one of the most broken systems in place – at least in the United States, certainly, and I would argue that there is probably no perfect model anywhere. Wherever you go in the world, the problems that Health Nexus has identified are the same – a lack of provider coordination, high fees for data – or in developing nations no data – and inefficient payments mechanisms. Our family lived in Mexico for a year and even in that case we witnessed firsthand the complexity of obtaining health care in a semi-socialized country like Mexico, where citizens often took matters into their own hands in order to work within an inefficient system. The concepts, therefore, are quite valid, and the idea of using the blockchain is also valid. This is true for the access to data – if data that is collected about a patient is added to an immutable ledger, and signed by the appropriate actor, then the actor that can unlock that data for the use of a requestor would be rewarded directly, and without the involvement of a data provider – this is only possible on a distributed system that is accessible through smart contracts and private keys. Also true for what are known as “Shared Savings Programs” as created by the Centers for Medicate and Medicaid Services. What has developed because of these programs is a somewhat complicated system of “Accountable Care Organizations”, which are groups of providers – doctors, hospitals, nurses who work together to demonstrate that money was saved during the care of a given patient. If they can demonstrate that, the ACO’s can receive of share of the savings. However, it’s a bit complicated in the way that it’s determined, with various payments systems and a number of criteria that determine the details. Health Nexus maintains that this system can be made much more efficient with the use of Smart Contracts that run on a blockchain. These kinds of solutions are really what the founders of Ehtereum had in mind when they invented the concept of a Smart Contract. In many cases, there is no real company to examine with these ICO’s but this is a rare exception. Simply Vital Health is an established company with products, services, and customers. A year ago the company won best in class at the Distributed:Health hackathon for building and demonstrating a blockchain solution in 24 hours. They have released a product named ConnectingCare, running on a blockchain, and they have customers. The team to support the token sale is a bit larger than the team listed on the main site. The core team for the token sale have impressive backgrounds, and they show a good deal of passion that seems borne of experience in the health care industry. The CEO spent two years working at Yale New Haven Health and was a hospital administrator. The CTO spent two years at CapitalOne as a lead developer for blockchain applications – in this very young industry that’s a pretty decent credential. About six months ago he pointed out in an article in Medium that the use of blockchain technology and the distributed nature thereof along with encryption could mitigate the results of attacks like WannaCry. The director of growth and operations came from the Yale School of Management and worked for Goldman Sachs. The advisory team has a number of people well-versed in blockchain technologies. There are a number of reasons why this whitepaper stands out to me – one is that it was clearly written by people who had gone through development cycles. If there’s one thing I’ve learned in the last ten years in managing the construction of software applications, it’s that nothing in the beginning is truly cast in stone. Especially in a nascent technology like this one – the blockchain. The approach that I found in the whitepaper that I liked was that the authors discussed a range of possibilities to solve any given problem, and admitted that several factors could sway them one way or another – and that ultimately it would be decided as the project unfolds. The choices they provided all made sense, and the reasons they gave made sense to me. As we mentioned before, in some industries, a fully-public blockchain like Ethereum or Bitcoin just isn’t realistic. This is especially true, in our opinion, with Health Care, and this is for regulatory reasons. The privacy laws would make it very difficult to store data, even if it was encrypted, on trustless and un-validated nodes. It’s not only for security, either – it’s for availability. When you are talking about health care data you are sometimes talking about life of death – so you can’t have a system like bitcoin where any node can drop off the radar for no particular reason and not be punished by more than opportunity loss. 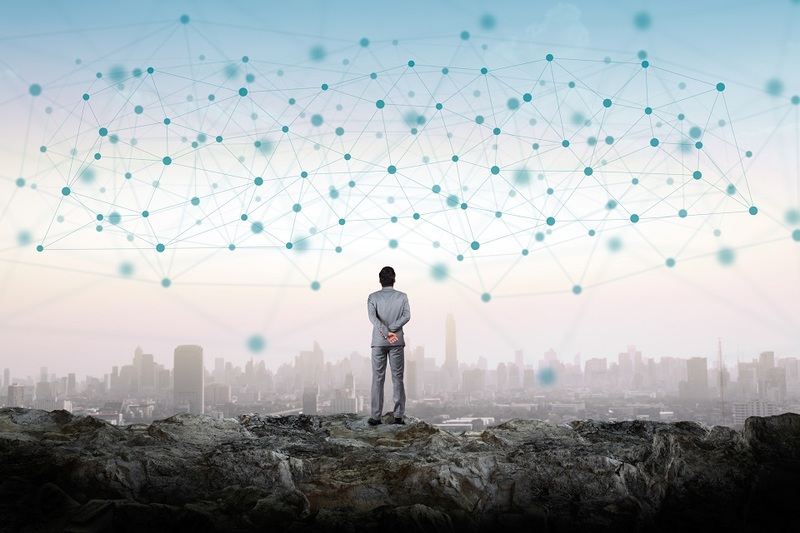 For these reasons, the architecture Simply Vital Health has settled upon is a Permissioned blockchain run by a Consortium. The Conosrtium of “executives” as they are called in the whitepaper will be initially selected as a finite number and based on their level of commitment and ability to serve the network in the beginning. This will be a focused consortium that has the best interests of the network in mind. New members may be added through a process that involved invitation and voting. New member would apply to existing members, a proposal would be presented to the group, the candidate would be “validated” and if validation passed, voting would take place, and then if the member was admitted, they would earn the right to participate in some fashion. Examples would include validating blocks for transactions fees, or storing off-block data as so-called “GateKeepers”. Before a node can host data, they must be validated in terms of compliance with regulations such as HIPAA. It should be understood that this is not a private blockchain, in the sense that first, there is a consortium of executives, and secondly, it’s a public blockchain in that the network will be remain open to the public to use – it’s the nodes that are running the network and validating the data that are permissioned and hierarchical. One item that stood in out in the whitepaper for me was the potential to allow patients themselves to have a say and possibly even profit from the data that is collected ABOUT them. This is a fascinating idea, and there has been plenty of controversy about this – for example the various lawsuits that issues that have been raised regarding the use of the Hela cell in medical research, and what rights patients have to data in general. If this component is implemented it should make for some interesting outcomes. The token is HLTH known as Health Cash – and that token will be used for transactions such as Bundled Payments. There will be another type of token for the Executive ID’s – this was actually clarified for me in a chat with the CEO, which will provide the authority for those actors to perform certain functions and take on certain responsibilities tied to governance. Data will be stored on the blockchain and off the blockchain. For on-chain data storage a Distributed Hash Table will be used. This is a structure which allows for quick lookups to data using a hash as a key. This is a highly efficient structure – in fact it’s used by BitTorrent. It was selected by the team also because using this you can store identity, which will allow specific sets of data to be tied to the requestor – a patient, for example. Also, DHT allows identity, so that miners can be identified and validated periodically to ensure compliance with data storage regulations. A Smart Contact will be the engine for a data marketplace, which will allow permissioned access to off-chain data storage. This is how it might be possible for patients, for instance, to obtain some compensation for data. In fact, the general process for storing and accessing data is very well thought out and presented in detail. There will be a marketplace with price discovery and negotiated data storage rates as well as criteria such as distance figured into the calculations using a Kademlia application of a Distributed Hash Table. The Kademlia type of Distributed Has Table takes into considering routing distance between nodes. It’s more efficient, because in Kademlia the nodes are aware of each other – this reminds me a little bit of the way certain Internet routing protocols work. The Presale –The presale starts on September 26th. There is little information about it, and the team has said that the price in ETH will be set shortly before the pre-sale. You can sign up for the presale by visiting the token sale website and clicking the link “Participate in the Presale.” You will then get an email as an introduction. I was told on Telegram that the presale should be open to US investors. The ICO open on October 31st, 2017. It ends November 30th. The hard cap of the sale is $40,000,000 USD. The ICO is being engineered by Token Market. This in and of itself is actually a positive because that company is known for vetting ICO’s carefully before agreeing to work with them. They have a decent track record with helping launch such companies as Storj, Monaco and Civic. With respect to the SEC and the infamous Howey Test, which refers to a supreme court case which decided whether an investment could be considered a security or not. This has profound implications for the ICO industry, particularly those open to US investors, in that if an offering could be considered a security by the SEC, then the company issuing the offering would need to register it with the SEC as such. This is a long-term and expensive process which ICO’s generally want to avoid at all costs. While it does not appear that the whitepaper is aggressively promoting a stance designed to pass the Howey test explicitly, like we have seen with other ICO’s, it appears from the whitepaper that the use of the token is entirely utilitarian. There is a bullet point around the token that mentions that it could be used as a way to fund projects, but there is no indication that the token would be used as a store of value in a way that would fail the Howey test – at least in our humble opinion. In terns of viability we could see the potential for a business case with respect to the efficiency of payments of Savings Programs to various stakeholders, as well as data storage costs, especially if a marketplace really does develop where data could be offered as an alternative to the large monopolistic organizations like Lexis/Nexis. The viability of the business model will largely be dependent, in our opinion, on the initial body of governors. If Health Nexus can manage to attract a wide-ranging set of governing executive stakeholders as the initial set of selected board of governors, then the project has a very high chance of success in our opinion, because of the weight and commitment that these kinds of actors will bring as well as the method of bringing on new members outlined in the whitepaper would allow should foster a strong community. The reaction from the community has been universally positive, but I should mention that there is not a large amount of reaction one way or another. I could find no sub-reddit, and the bitcointalk announcement has very little conversation and reaction – although I will say that almost all of it has been positive and it doesn’t appear to be newbie shill accounts. People are responding to the whitepaper positively. My questions to the team on Telegram and Discord were answered quickly by the CEO and backed up and clarified by the CTO within minutes. It’s a bit early, so there isn’t much code on github, but the CTO explained that they are cleaning up the code and testing and they would be uploading some soon. The gotchas and devils advocacy here is not really around the ideas, the project, or the whitepaper and the underlying technology – it’s mainly around the health care system in general. The sheer amount of regulation around the health care industry and data storage and privacy is bound to lead to complexity which cannot be solved quickly and easily no matter what the technology. Our final takeaway for this ICO is that while the vision is large, the team seems to have a phased approach, and the right kind of blockchain structure that will be amendable to the healthcare industry, and the fact that they have one of the very few operational blockchain applications in health care that is actually operational, we believe that there is a good chance that this project will gain traction. To address the fragmentation of the industry, an online network will be created to allow industry stakeholders to band together and unite politically to work together toward cannabis legalization where it has not been yet achieved. One thing that we must note about this ICO before we begin our analysis is the fact that it is very, very large. According to the website, the presale has issued 70,000,000 tokens, which were sold at a price between $.75 and $1.00 each, with another 30,000,000 tokens to be released starting on the 15th of September and ending a month later. At the projected price points, it amounts to about $100,000,000. First, we need to again state that one of the things that has to be considered when we examine the concepts put forth by Paragon is the fact that they are seeking $100,000,000. This is important because with a number that high, one would expect the problems that would be solved conceptually would be 1) universal in nature, 2) extremely urgent and dire and 3) compelling from a business standpoint. So please remember that number as you listen to this analysis. At first glance, we understand some of the challenges that are listed in the whitepaper and on the website, with the Cannabis industry. We can imagine, similar to last week’s ICO, Ambrosus, how placing sensors at labs, or in grow houses and reporting the results on an immutable database of information would provide some comfort to consumers, but unlike the food and pharmaceutical industry, we don’t see a widespread demand from consumers for quality assurance in this space. It seems that they are letting the market determine the quality of the product, and relying on their experiences as well as the standards that are in place on a state-by-state level – as variable as they are. Now, Paragon is correct in pointing out the confused state of the Cannabis industry with respect to oversight, regulation and standards. No question about that. As an example, we can examine a paper by the Washington State Liquor Control Board that was published in August of 2013 immediately after Washington voted to legalize marijuana. This 20-page paper suggested some avenues for the state to take with respect to establishing quality and testing standards. For instance, they examined the possibility of forcing labs to gain accreditation in standards such as ISO 17025 – an international standard which outlines rigorous lab testing standards for any kind of consumable product. But as the paper pointed out, at the time of publication, there was only one lab in the US that held the accreditation and it wasn’t in the state of Washington. So Washington, as an example, opted to go through a route of certifying labs for testing using their own criteria through an application process, and basing certification chiefly on the academic credentials of the “Scientific Director” of the lab, plus submit to periodic inspections by the liquor board. This is just one of over 20 examples, and every state is different. But here, it’s very difficult to imagine the introduction of a blockchain technology will make much headway in unifying the current patchwork of regulations and standards. Therefore, the only benefit to using the technology will be the comfort achieved by the consumer. We have a hard time believing that the labs or growers will adopt it, since there is not a lot of incentive for them to do so. It’s also difficult to imagine that the states will adopt a unified standard, blockchain or no blockchain, given the propensity for states to maintain control of state-managed regulations. The second major concept is that of a shared office space. In this case, the idea is for Paragon to use most of the proceeds from the token sale – which appears to be heading toward $100,000,000, to purchase and refit shared office space that will be rented to tenants using the Paragon token. This is a little bit confusing. First, the investors of the ICO, which are supplying the $100,000,000, are not granted any stake in the property acquired by the company. This is, of course, necessary from a legal standpoint, because of SEC regulations, where if that were the case, then the offering would need to be registered as a security. But the question has been asked — why purchase the real estate? Why not lease it, and then sub-lease it using the Paragon token. This would, it would seem, reduce the need for $100,000,000 in capital. And finally, although the whitepaper mentions that dispensaries could use these spaces, other comments from officials of the company in other forums, such as BitCoinTalk and Reddit have mentioned that the spaces would be used by companies that serve the industry, such as lighting companies, hydroponic manufacturers and others. But as someone pointed out at Reddit, those types of companies have ZERO problems obtaining commercial spaces. So the market for shared space in this industry seems confined a pretty narrow use case. Finally, to address the current fragmentation of the industry, the concept is to create an online community on a blockchain, like Steemit, and incentivize and compensate the community for posting and contributing – and they would be rewarded with the Paragon token. But because it is illegal in most places for consumers to purchase medical marijuana with a token, the community would mainly consist of people who would use those tokens in the rental spaces, plus people in the industry who would hope to profit from the token by exchanging it for fiat currency. But the main issue, Steemit-type forums work based on volume. The cannabis community is inherently small when compared to the use base of Steemit, or Reddit, which is not tied to any one topic. Is Blockchain the Answer Here? So purely from a conceptual perspective, and in using the important question of “why blockchain,” we frankly don’t see compelling reasons for a blockchain or decentralized solution. We should remember that fundamentally, one of the main problems that the use of a decentralized platform seeks to solve is that there is very often a large, central authority (like a bank) that is standing in the way of many peers who want to interact, and that central authority is extracting onerous fees to allow those peers to interact. That’s the fundamental concept and driver for a decentralized platform. But in the Cannabis industry, there is no central authority. Sure, there is a state-by-state authority that governs all kinds of aspects, but legally, it’s impossible at the moment for consumers to circumvent the approved payment systems that are in place, so here, a decentralized currency will not help. The utilitarian case for the token, therefore, is extremely narrow, and we cannot see how it warrants $100,000,000. There really is no company to examine, as the company appeared fairly recently as a vehicle for the ICO and project. This in and of itself is not unusual with these ICO’s as we have seen. Therefore, we need to examine the team. This is where, in our opinion, the project begins to unravel. The CEO is a former Miss Iowa, and a model, and who has started a high-end marijuana confectionary company in San Francisco. She seems like a nice enough person, but she does not seem to have the business or technical background to lead a $100,000,000 technical company that is embarking on an ambitious decentralized platform to solve tricky problems in a brand-new, chaotic industry such as legalized marijuana. Her husband, and “Chief Creative Officer” is a Russian semi-celebrity, but who is perhaps best known for antics of conspicuous consumption, and downright silliness. As an example, he organized and hosted a challenge where he collected a large amount of money in an auction-based event where he would tattoo his hand with the design of choice of the winner of the auction. When you examine the social profiles of this couple, you see what amounts to two people extremely focused on making and spending money. Not very much more than that. The only technical person listed on the core team, the Chief Technology Officer, has almost no credentials, papers, blogs, or hardly any information we could find other than the claim, by other members of the team, that he owns a digital currency exchange. His responses to technical questions on Reddit have been, to be frank, not very technical at all. There are no developers listed on the core team, and I have examined the 246 projects on Github associated with the term “Paragon” and none of them are related to this company or project. When asked for the identity of other team members which might be programmers, and when asked for GitHub repositories, both were questions on the Slack channel, the team declined to provide that information. The person listed with apparently the most technical experience in crypto currency or blockchain technology is on the advisory board, not the core team. So from what we can gather, there really is no core technical team and no evidence of work completed. When we examine the core team, the only somewhat relevant experience we can find is with the Chief Operating Officer, who appears to have 20 years of experience in supply chain management. The Chief Strategy Officer was thanked for his contribution in a popular O’reilly book about the SSH protocol, so … that’s something. But as you might be able to tell, I’m sort of reaching here. If you were to ask me whether the people listed on this team could pull of a complicated blockchain project like this, I would say that I doubt it. This whitepaper is forty-four pages long. The first five pages discuss the general state of affairs with the Cannabis industry. Section 2 lists a mission statement that consists of 9 bullet points, some of which mention the platform, and some of which provide their intentions. These nine bullet points are somewhat generalized, and not what you might call cohesive. That is to say, they don’t all point in the same direction. Some points are regarding their honorable intentions and integrity, others make statements to the platform, yet others make reference to advantages gained by focusing on “hot topics” such as Crypto and Cannabis. There are a couple of prominent statements in this whitepaper that form the heart and soul of it, which bear repeating and analyzing. The first is “Blockchain-built smart contract technology is ideally suited to organize, system­atize, and bring verification and stability to a traditionally unchecked industry.” The second is “Putting cannabis data and transactions on blockchain smart contracts will increase the speed of service and save companies hundreds of thousands in reduced paperwork.” First, it’s not clear from the whitepaper how precisely the blockchain would organizes, systematize and bring verification and stability. They go on to mention the following – an immutable ledger that offers permanent verification of every past transaction. And then … stores all product lifecycle information forever in an easy-to-retrieve system. But who would need to retrieve and use this information once of the product is consumed? Attorneys, perhaps, if there was a lawsuit or death from the consumption of a product? Possibly, but in order for this to be adopted, profound legal changes would need to happen, in more than 20 states at the time of this podcast. The whitepaper is full of broad statements like this. Here is another “The combination of decentralized encryption, anonymity, immutability, and global scale turns Paragon into the ultimate online community for the legalization of Cannabis across borders.” Beyond that statement, however, there is no explanation of precisely how. On page eleven there are nine specific use cases listed in the Cannabis industry. Superficially read, these nine bullet points sound like reasonable ideas. But they are really just that – ideas. There is no analysis or proposal or technical solution that explains precisely how any of these ideas would be implemented. The treatment of this topic that most closely resembles something technical is a series of steps that are undertaken in a typical supply chain starting with the cultivation of the crop and leading to the purchase by the consumer. There are a lot of steps listed, but the method of monitoring is RFID tags on the pots contain the plants, and which somehow would record days in vegetation, days in drying, days in cure, hydroponic vs. soil – how this is achieved with something tied to the pot is not explained. Just to take one example – this paper mentions “Assign or verify certifications or certain properties of physical properties ..” but absolutely nothing about the types of sensors, the capabilities off the sensors, or the application of the sensors. There is one vague comment about a 24-hour camera recording the possibility of selling plants out the back door of the grow house, but what’s the plan – to upload the footage to the blockchain? Contrast that to a project like Ambrosus, which offered detailed design documents, and whose lead engineer held more than one US patent for piezo electric dynamic ambient sensors. Section 4 is titled “collaboration with IOTA”, and which appears to have been inserted as an afterthought. I should explain what IOTA is – it’s actually a somewhat revolutionary and brand-new technology which consists of a distributed platform, but without a blockchain. It’s very existence is due to the simple fact that it’s almost impossible to scale a traditional blockchain platform when working with an “Internet of Things” concept like Paragon is offering, where hundreds of thousands of transactions reported by sensors are intended to be written into the blockchain. It appears that along the way, the Paragon team realized that this issue would appear and so they contacted the IOTA team. In fact, there is an Ask me Anything sub-reddit, held by both Paragon and IOTA where they answered questions together. The issue is that the whitepaper wasn’t edited completely to change the concepts from a purely Ethereum-based project to a project that leverages IOTA, and the whitepaper contains no real understanding of how the IOTA platform actually works and how it would be applied to the Paragon solution. Besides the almost complete lack of technical information, I think the most alarming aspect of this whitepaper is section 9, which is titled “Risks.” This section of the whitepaper consists of no less than nine densely-written pages. It’s over 3,500 words of dire warnings, mostly around the fact that the token could become worthless from a wide variety of reasons. To give you an idea of how much information we are talking about – if I were to read all of this text out loud it would consume more than three-quarters of this 41-minute podcast. Now, I applaud the fact that they team listened closely to their attorneys to document in detail all of the things that could possibly go wrong, but I have to say that I have not seen anything quite like this in an ICO whitepaper. If I myself were to consider investing in this project, I would focus on this section, since it’s probably the most substantive part of the whitepaper itself, which tells you something. There has been no work done yet. Most road maps start a year or so BEFORE the ICO, and talk about what has been done leading up to the ICO. This road map seems to indicate that nothing starts until fifteen days after they collect the $100,000,000. It’s the first thing they are thinking about. Before any coding, before any other aspects of the project, the first thing that has to happen is that the token must be listed. They go on to mention some “Initial Functionality” which are things like a web application, an online dashboards with up-down vote capability, a doctor database, and other databases, but no timelines for those. The first real estate purchase is slated for February 2018 in Oakland, CA. Then in November, 2018, the flagship location and Headquarters will be opened, the blockchain smart contract (singular) will be fully functioning, and all services operational for all use cases described. When we consider the team, the use cases they have suggested, and the lack of any prior work or public code anywhere, it becomes very hard to take this timeline seriously. The token will be named “Paragon” – with a symbol of PRG, and in the whitepaper it’s defined as an ERC-20 token created on the Ethereum Platform, but this is called into question with the reference to IOTA, which is most definitely NOT an ERC-20 token, and is, in fact, an different platform altogether from Ethereum. Having said that, however, we should keep in mind that the IOTA developers themselves have stated more than once that their platform is not designed as a competing or replacement platform for any other hard-chain technolology (like Ethereum), but should be considered as a complimentary platform to shore up issues that blockchain platforms like Ethereum struggle with – such as scalability with Internet of Things. So there’s a chance that this could work if there is good integration between the platforms, but the architects of the Paragon platform, and the authors of the whitepaper provide zero details as to what parts would be on Ethereum and which parts would leverage IOTA. We can imagine, but I would maintain that we should not have to in an offering of this size. The PRG token will be used to provide a payment mechanism for various services in the Cannabis industry, such as doctor’s prescriptions, materials for growers, and rental space for companies in the community that will leverage the shared commercial space. This is where I would normally cover the technology underlying the platform, but because there is no information, I can’t really comment on it. The presale started on August 15th, 2017. During the presale, contributors received a 25% discount from the $1.00 USD per token price with a minimum purchase of $25,000 in the first ten days. This was reduced to 15% in the second 10 days with a $15,000 minimum contribution and in the remaining days a 10% discount was provided with a $10,000 minimum contribution. According to the very latest data on the website, the presale consisted of 70,000,000 PRG tokens sold at these varying discounts. There is, of course no way to precisely know how much money was raised, but if 70,000,000 tokens were indeed sold, it was clearly a substantial amount of money. In the mission statement, it’s mentioned that the funds will be escrowed, and the books will be audited by the likes of Deloitte, Grant Thornton, an other well-recognized international accounting firms. In the months ahead it will be interesting to review these audits, if they are made publicly available. The hard cap of the sale is 100,000,000 PRG tokens, but according to the website, 70,000,000 of these were sold in the pre-sale. That leaves 30,000,000 tokens, and as of 24 hours after the start of the sale, the website shows that 1,500,755 tokens have been sold thus far. There is an exchange that is listing the token – it’s HitBTC. At the moment the price is around .0035 ETHER, which is, right now, about $.87 USD per token. It is possible to join the crowdsale right now at paragoincoin.com, but there are no precise instructions. In order to contribute to this token offering, you would need to sign up for an account at paragoncoin.com. A dashboard is provided, and it appears that the method is to simply send payment through a variety of coins directly to wallets of the respective crypto-currency. There are about a dozen currencies accepted. The somewhat odd feature of this token offering is that the price of the token goes up $.05 every twenty four hours for the offering. The rest is allocated to later stages of fundraising. In terms of business viability, if the company does manage to collect as much money as it appears they are collecting, and they buy real estate and convert it to rentable shared space, there’s a possibility that the company will actually make money, because real estate itself has been a lucrative investment in general. But as an investment in the ICO, unless the token itself rises in value, investors who purchase the tokens will not have stake in the real estate holdings, nor the business. Instead, the potential for investors lies in the success of the token, and for that you must believe in the vision for the use of the token – not in the real estate holdings that are purchased with the money from the ICO. Thus, the success of the business itself is not material to the discussion of the success of the ICO from an investment perspective. The reaction from the community has been, to put it charitably, extremely skeptical. And the communication from the leadership has been amateurish, lacking substance, and questionable at best. It is absolutely true that almost every ICO these days is subject to attacks, spiteful behavior, trashing in the forums, and so forth, but in this case, I see a lack of acceptable answers to tough, but well-posed questions. When asked probing questions about the lack of technical detail, lack of experience, and other factors missing from a respectable offering, the responses were almost always an accusation that the person making the request was part of some kind of conspiracy to extort money from Paragon. It’s a bit bizarre, actually. There was one strange situation wherein someone on the Slack Channel made a negative post and then sent a message in what appears to be a request for money to edit or remove the post – and this turned into a huge campaign by Paragon to loudly proclaim that they were the victims of extortion. This led to interviews and blog posts from sympathetic bloggers, and lots of press and Sub-Reddit wars, but all it did in my opinion was to deflect from the serious questions – which were never really answered adequately. Normally, the Gotchas section of this podcast consists of a few items that might be construed as potential issue, whether it be due to the concept, the team, the company, the technology. But in this analysis, our opinion is that the entire ICO is one big “gotcha.” Almost every point of the fourteen we normally discuss has a major problem. Our final takeaway on this ICO is that while it may be true that this group is successful in raising money – and if you believe their numbers that 70,000,000 tokens have already been allocated, they have been – we nevertheless believe that the ultimate vision expressed in the whitepaper is unlikely to come to pass. But then, judging from the perspective of both the team and their investors, this unfortunately doesn’t seem to matter. Ambrosus – Internet of Things meets the blockchain … for lunch! Let’s start with the Concept – if you are part of the growing trend of what I’ll call “food awareness,” you probably give a thought or two about where your food comes from, how it is treated on the way it gets to the store you buy it from, and what condition it is in when you take it home to your family to feed them. In the United States, food regulations and labeling laws began in earnest in the 19th century, and in 1990 and actin congress provided the FDA with specific authority to requiring nutrition labeling. It wasn’t until the formation of the European Union that Europe centralized and enforced rigid standards for food labeling, but the practice had occurred for decades before in individual countries. However, despite all of these laws and practices across the globe, there remains serious problems. First, fraud is endemic, nutrition labels have been proven again and again to be less than trustworthy, and secondly, metrics are collected in large batches, so even when there is no outright fraud, what you are reading on the label of the item you are holding in your hand is an approximation of truth. Finally, whatever measurements there are, are taken at the source, not at the destination and certainly not along the way. And a lot can happen along the way. The solution, according to Ambrosus, is to fuse hard technology in the form of sophisticated sensors with this new concept of Internet of Things, running on a decentralized, trustless immutable blockchain database of information. Each monitored food or drug item contains with it a token that is bonded to the product and facilitates an ever-growing chain of information about the condition of that food or drug item as it travels the entire length of the supply chain, from manufacture, through transit, to the consumer. The consumer, at the end of the chain can instantly see all of the information through the use of a mobile app scanning a QR code. As you might imagine, this will provide tremendous transparency for the consumer, and ensure food quality without the requirement of a centralized authority such as the FDA, or Europe’s EMA. The company itself has some impressive history, with respect to its associations and responses from the investment community. For instance, it was accepted as a Member of the United Nations Advisory Committee of Sustainable Food, and formal endorsements from the President of the Swiss Quality Control Association. This is a Swiss company located in Zug (spelled Zug) , Switzerland, which is interesting in and of itself, since Zug has been dubbed “Crypto Valley” due to its extreme support of the concept of bitcoin and digital currency, and an unusual concentration of crypto entrepreneurs. Just to give you an idea, there are currently 10 Bitcoin ATMs in this town of 30,000 people. The company was founded in 2016, and has raised money in the traditional way, by attending funding events such as the Monaco Growth Forum. As in most cases, the most important aspect of Ambrosus is the team. In this case the team is large, and highly credentialed in terms of depth of expertise. I have to confess, I enjoy this part of the research more than any other for these ICO’s because of the international makeup of the team – Ambrosus is no exception. The CEO worked for the United Nations, the World Resources Forum, and Bloomberg. He has spoken at Davos, where he discussed financing models for Sustainable Consumption and Production. In his presentation, he pointed out some major constraints that small food producers face due to lack of access to finance. As you will see when we discuss the whitepaper, this is clearly still on his mind. The co-founder and CTO of the company is Dr. Stefan Meyer, who has worked in the food and biotech industry for twenty years. The lead engineer, a professor named Jean-Paul Sandoz has an impressive list of patents that are filed with the US Patent and Trademark Office, some of which are clearly baked into the concept around Ambrosus, such as self-sensing control systems and piezo-electric senors. Even the developers have some interesting credentials, which is often unusual in an ICO. For instance, one of the lead developers published a blog in 2015 that shared a design how to send time-locked and encrypted messages which could only be read in the future, using something he called the “timechain.”. This is just one of three blockchain developers. This team even has a communications manager who looks to be about twenty years old – but has a PhD and taught Investment Law at a Greek University. I’m always fascinated by the diversity of some of these ICO teams, but Ambrosus really stands out in this regards. If there is an “all-star” on this team in terms of blockchain technology, it’s Dr. Gavin Wood, who is none less than the co-founder of the Ethereum platform. This is a little like having Beyonce as a backup singer for your latest youtube video. OK, on to the whitepaper. In this case, there is actually much more than just a whitepaper – there is a repository of detailed documents, including, of course, the whitepaper – but also papers on Food Sensors and Tracing, Non-Invasive Analytics, a handful of detailed use case scenarios, such as Olive Oil, Swiss Cheese and Pharmaceuticals, plus a separate Vision paper where the authors expand upon and expound beyond the whitepaper. The amount of information published far exceeds the normal output leading up to typical ICO – but then again, considering the team of people used to producing large amounts of scientific documentation, it’s not too surprising. It is, however, impressive. They key points of the whitepaper include a widespread use of innovative and highly advanced physical sensors of several types, such as DNA labeling of proteins, smart gels which can be smeared onto tissue, such as a salmon, and digital tracers that sense pressure and other ambient factors as food travels from point of origin to its destination. Along the way, in a sort of version of Internet of Things, data about the product and environment, is reported from these sensors into an immutable blockchain to provide information that cannot be manipulated, thus ensuring the integrity of the food. It’s not just sensors, either – it’s cameras in stationary places and along with the packaging, and other types of permanent and temporary sensing devices to provide a 360-degree view of what is happening with this food item before it gets to your kitchen. Another interesting concept is that of “Digital Matchmaking” between members nearby to create “digital collectives”, where farmers who are producing similar or complementary products can be offered in bulk, and thereby find larger customers and to increase their bargaining power. This is also extended to the location and bidding of logistics companies to ship the product. And finally, a big part of this idea is a reputation system for producers, shippers, and all member of the supply chain. The Amber token would be used to reward and track reputations based on actual events, as smart contracts are completed and the data recorded on the immutable blockchain. The consumer might be rewarded in Amber for purchasing the product. Ok, let’s talk about the road map. One of the things that should be obvious by now is that this is not a short-term project. The plan is for a proof of concept to be released in September or October of 2017, followed by a food and commodity marketplace by December of 2017, and in 2018 a beta of the marketplace and some of the sensors. But it’s not until 2019 that the first generation of sensors will be launched and 2020 is when the first fully-automated Decentralized Autonomous Organization with sensors and artificial intelligence. It’s also important to note that there is not a planned exchange for cryptocurrency trading planned until the winter of 2019. Now of couse there’s nothing to stop outside exchanges from listing the token – and this will most likely happen – it’s just that the development of an exchange by the Ambrosus team will not likely happen immediately. This is in contrast to many ICO’s which launch an exchange before the ICO itself. In fact this speaks to the sincerity of the leaders, since it’s a way to show the world that it’s not JUST about the money – it’s about the project. The token named “amber” – with a symbol of AMB, is an erc-20 compliant token, which means it can be used on the Ethereum platform and can be used with any decentralized application running on that platform. For more information about ERC-20 tokens please listen to our Blockchain 41 podcast. What’s interesting about this token is that it’s “bonded” to a product until there is a defined expiration date or a “termination event” programmed into the smart contract. You could imagine the purchase of the product might be such an event, or any event along the supply chain. End consumers of these tokens can claim the token, which can then be re-used and re-bonded to another product at another time. The token can also be used to reward members of the supply chain, and to record reputation status – and can even be used to transfer value for services during the supply-chain lifecycle. The technology is multi-faceted, in the sense that it features a hardware layer in the form of sensors, then a couple of software layers to support interactions. The Ethereum blockchain will be used, but the Ambrosus protocol also calls for a custom blockchain functioning as a side chain and communicating securely with the Ethereum blockchain, as well as the use of what is known as IPFS – the Inter-Planetary File System. This is a relatively new protocol which allows for a distributed file-system. Why would this be necessary? Because if you think about the sheer number of reported transactions coming from all of those sensors, there is no way you could store all of that on an ever-growing blockchain without crushing performance. Another way to mitigate potential performance issues is that the Ambrosus protocol calls for writing changes to the smart contract collecting the monitoring data every 100 readings, instead of every reading. I am sure this will be tweaked as the system evolves. As we mentioned, Ambrosus has been seeking and receiving financial backing from organizations before the upcoming token sale. According to news sources, Ambrosus has raised $30 million dollars ahead of the ICO. Some of that financing has come from a part of the Swiss government- specifically the government of the Swiss Canton of Vaud (vau) – a Canton being the equivalent of a state in the US or a province in Canada. As of the time of this recording, the ICO sale itself has been postponed due to some security concerns. They recently abandonded their slack channel altogether in favor of Discord, and according to a statement on their blog, they are the victim of a series of targeted hacks and phishing scams. This is not uncommon, but as they mention on their blog, this sale has one of the largest caps, and one of the largest presales to date. So they are most likely a serious target. The original date was September 13th, the new date is now September 15th. The sale will be conducted using KYC – Know your Customer protocols, which if you have ever signed up for a crypto-currency exchange, it will probably involve holding your passport up to a camera and providing all kinds of information. ON the Discord thread there was one Russian guy who said that during the presale, the KYC procedure demanded a notarized version of his latest gas bill. That gives you an idea. So get your documents ready if you are going to participate. KYC information is coming soon, according to statements made on Discord. The hard cap is a whopping $100M Swiss Franks – which is about $105 M USD.. The sale is closed to U.S. Investors, and along with the KYC standards, it may be difficult for US investors to participate without going to lengths. The company is obviously serious about this, and they refunded over $500K USD to a presale investor when they discovered that they had purchased shares on behalf of a U.S. Citizen. By the way, I had a discussion on their Discord Channel with a member of their team, and he explained that even though they don’t believe their token would be considered a security by the SEC, the ongoing lack of clarity in U.S. regulations leads them to believe they should take no chances whatsoever in this regard. As most of the listeners of this podcast know, there is little to stop US citizens from trading the token on the secondary exchange market, once it is released. Initial exchange rate is 1 ETH to 1000 AMB (Amber). In the token sale, there does not appears to be a sliding scale bonus. There is a bounty and more information can be found the ANN Bitcoin Talk forum thread for the Bounty. There are no current exchanges that have been identified which will list the AMB token, and the communication about exchanges has been “coy”, in the sense that they need to walk the fine line of heavily discouraging speculation in the token, while also attracting investors. Statements made on the forum by team members might lead one to believe that exchanges are likely in the future of the token – but there will be no specifics until after the sale is complete. Our opnion is that ther eis a very high likileood that exchanges will pick up this token. As with any utility token such as this, and with the company’s hard line on discouraging speculation, the Howey test applied shows very little likelihood that the SEC would rule this as a security, and therefore in our humble opinion it’s not necessary for the company to register the sale as a security offering, at least in the eyes of the SEC. As we have said, though, this does not stop the ICO from being blocked to U.S. Investors. That is the prerogative of those holding the sale. All I can say about this is that if you as a US Citizen are at all disappointed in this, please use your democratic process to speak out and ask the SEC and congress to issue some clarity on this area – and don’t hesitate to educate your representatives while you are at it. In terms of business viability, we should break this up into several phases, because the vision is so grand, far-reaching, and disruptive of current supply chain practices that it would be a mistake to judge the viability of the business model based on the end-game vision. It is hard to imagine the widespread adoption of sensors in the short term – we are potentially talking about a gel tape on every fish or pumpkin. On the other hand, it should be understood that this is not just one idea – it is many, and contains many business opportunities at many levels. In a 5-page paper issued named Business Opportunities, one of the most believable business models would be an enhancement of the growing niche of organic marketplaces that pay close attention to quality. One can easily imagine the demographic of Trader Joe’s or Whole Foods consumer embracing this concept, and rewarding the producers who are members of this platform, particularly if those Whole Foods shoppers can scan the QR code of an item and obtain lots of data around quality before purchasing. In a discussion I had on Discord with the CEO of the company, DNA testing of salmon is a good use case to solve once and for all the doubt between farm-raised and so-called “wild” salmon. Another business model that is attractive would be the pharmaceutical industry, especially if governments embrace a higher set of standards which could include the technology presented by Ambrosus. Ultimately, as the CEO has mentioned on the Discord channel, the first viable business models will be in the higher-end markets, such as olive oil and other premium foodstuffs. The reaction from the community on Bitcoin Talk and Reddit has been mostly positive, although some criticisms were voiced with respect to their communication. Their slack channel had some major issues and had to be abandonded – however, when they switched to Discord the situation improved markedly. This is one instance where the CEO is very active on the thread answering questions and engaging with the community quite energetically. If you are so inclined you can join the Discord channel and read in-depth discussions from the CEO and some of the other team members with a wide range of people in the crypto community. Form what I have read, when you filter out the trolls and focus on in-depth conversation, you find thoughtful replies and the team seems to hold their own pretty well against sincere criticism. A little bit of devil’s advocacy here. First, this is a very long-term play in terms of adoption. The level of monitoring the project is proposing here is far beyond anything that exists currently. It is not possible to believe that any efficiencies realized by the use of this platform would entirely offset what would have to be high costs of application of monitoring devices at the level suggested. Secondly, it turns out that there is, in fact, some competition at a certain level. There is a company named Modum doing a very similar thing, although on a much smaller scale. They are focused on pharmaceutical industry and are measuring mainly temperature range during shipment. They do, however, have working devices and have monitored over 1,000 shipments and received over 500,000 data points during those shipments. The whitepaper is slim, however, with little about the technical details of the network, and with what appears to be a narrow use case. And I see little in terms of how to scale something that measures 500 shipments per data point. So when you examine this carefully, the level of competition is not as great as it seems at first glance. Another slight concern is the fact that the platform uses what is known as “Proof of Stake” – which means that the only way to join the network after the sale would be to purchase AMB or perhaps write a distributed application on the platform that somehow collects the AMB token. But if the price of the AMB token rises due to speculation, then this would slowly raise the cost to newcomers of the platform. I’m thinking now of the small farmers that the CEO mentioned at Davos and their access to financing. Or, more generally, a higher cost to participate. And finally, we are seeing the use of more-or-less privatized side-chains in these ICO’s for technical reasons and Ambrosus is no exception. When this occurs, the question should be asked whether the private management of a side-chain undermines the egalitarian nature of blockchain technology – such as Ethereum. All in all, we believe that the Ambrosus token offering will probably be a large success, especially with the team and their connections, the presale numbers, and the anticipation. We believe the execution of this project will take years, and will be slow going. We dot no believe, personally, that this ICO is an ideal short-term investment, our opinion is that short-term investors would do best to heed the advice from the Ambrosus themselves, and not treat this as a speculative investment. We will certainly be keeping our eye on this outstanding project as the months and years roll by, and will check in from time to time. Our brand-new, upcoming ICO for this week is ATLANT, which is launching the ICO on September 7th, and has all the markings of a successful ICO. I would be very surprised if this ICO didn’t knock it out of the park. Peer-to-Peer rentals – specifically the likes of AirBnB, VRBO and other peer-to-peer rental exchanges. The project aims to use certain aspects of blockchain technology, combined with traditional aspects of real estate transactions to improve these processes and most importantly, drastically reduce fees. The ultimate question for all ICOS’a s well as this one is, simply – what is preventing the solution of these problems now, without a blockchain platform? How will blockchain help? With respect to the first – that is, monetizing and exchaning partial shares of a real estate property, the main vehicle that exists for this now is the Real Estate Investment Trust (or REIT.) Now this vehicle bundles properties together to into a tradeable instrument and allows an investor to invest partially in real estate through this REIT mechanism. But while this can be used for a single property, it’s prohibitively expensive to list on existing exchanges. The registration of a REIT can cost up to a million dollars a year. So you can see how this would be impossible for the majority of real estate assets – even large ones. The use of a distributed blockchain ledger hosted on a secure network made of peers will remove this barrier to entry, because exchanges that run on blockchain do not need to charge prohibitive fees for the inclusion of properties on their exchanges. Not only that, but the legal, contractual and administrative information can be made immutable and trusted by using crypto-technology that cannot be reversed. Thus providing great efficiencies as well as transparency in transacting real estate. Concepts like escrow can be built into smart contracts, as well as both machine-readable and human-readable contract equivalents knows as “Ricardian Contracts” introduce major efficiencies into the process, and that leads to lower fees. The projected fee to list and complete the transaction is projected at 7%. Let’s talk about the company. 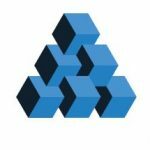 The web page for the ATLANT ICO specifically states that there is a legal structure, with a company named TENSIGMA registered in the British Virgin Islands. The BVI is an offshore jurisdiction, and details about the filing are only available through a paid search. Whether this is a red flag or not is not something I am qualified to comment on. All I can say is that a lot of ICO’s use this structure, and I imagine it’s mainly due to the tax advantages in countries like the BVI, which is pretty important for a startup. I would submit that the team is more important than company structure. There is much more information about them. This team consists of 4 executive business leaders with a respectable amount of experience at enterprise levels. The advisory team is composed of men and women with significant financial and real estate experience – leaders in their respective fields. The technical team appears solid – young, of course, but solid in the sense that you could imagine that they would be capable of pulling this off. The CTO was instrumental in building digital currency exchanges, and as you’ll hear in a moment, the team has already completed a somewhat working exchange platform, using open source technology, which can be examined on GitHub – which is system where developers can store and maintain their source software. It’s interesting about these ICO whitepapers. You might think that a whitepaper offered in the English language that was worth potentially worth millions of dollars would be checked and re-checked for grammar and usage at least as much as a half-page New York Time article, but you would be wrong. Even the most impressive and sensible of these papers sound like they were written and then reviewed by people who use English as a second language. But of course I’m quibbling – showing my age, I guess, since we now live in a sort of post-literate phase in human development. ANYWAY .. as an ICO whitepaper , this one comes in a 40 pages, and it’s mostly well-thought out and sensible. About a year ago, there was a notorious Twitter post when the whitepaper of Steemit came out – a full 90-page, line-by-line rant – and while I suppose it could be possible to rip this apart like that was, I think you’d have to be a pretty aggressive troll to do so – like that poster was. Some significant and beneficial aspects of this concept expressed through this whitepaper is that there is a work component – people will be able to perform work in arbitration of disputes in the peer-to-peer rental network and collect fees. Ostensibly, this is currently done by employees of companies like AirBnB. A token mechanism running on a distributed network not owned by any one company will allow for these workers to collect money for what they do directly from the network. This kind of concept in an ICO whitepaper lends credence to the project. Another aspect that we like to see in whitepapers is the ability for token holders to vote to govern the platform. This egalitarian concept is another that should be in an ICO whitepaper, and is well-expressed in this one. Finally, the mechanism by which real estate is converted into a tokenized and tradeable asset through the use of a Special Purpose Vehicle, followed by a Property Token Offering and using an Ethereum-based Distributed Autonomous Organization is clear and makes sense – at least to me. According to the road map, this ICO should have a working beta of the platform by the 7th of September. What I have found is that they are a little bit behind as you will see when I talk about the network. In terms of schedule, however, they are ambitious. They plan to have a fully-working platforrm launch by March of 2018 and a P2P Rental platform live by April of 2018. So not a lot time to wait to see if they can pull this off. They get points for having a schedule and a road map, and they seem to have a team that can execute. The Network – Ethereum, plus ATLANT (secure communication between) – According to the whitepaper, they will be using the Ethereum virtual Machine and Ethereum network, plus they will launch an ATLANT network as well. There will be secure communicate between those two systems. Smart Contacts will handle rental contracts, but the management of those contracts will be on the ATLANT network. They will make use of the Platform DAO and each property will have its own DAO and Property Token Offering. All certificates and contracts, as well as transactions are digitally signed, of course. Soft Cap of $1.5M, which is the amount reached at the Pre-Sale, which started on August 1, 2017 and ended 19 days later when the $1.5M cap was reached. Platform – Ethereum Platform and a standalone P2P ATLANT Platform. The software stack is multi-tiered, with data, logic, presentation and high-level logic tiers. The Ethereum Virtual Machine runs the high-level logic, and an External Ethereum node helps power the presentation node, with the Atlantic Desktop, which speaks to Ethereum through the API. Token/Coin – the main platform token is the ATL, which will be eventually traded on exchanges. When you log into the trading platform, which is alpha at the moment, you see ATL, ATLE, ATLF, ATLG and a few others that you can trade, all of which have different valuations. ATL is .0017 BTC now (About $6), and the highest is trading against BTC at .004, which is about $37. I am still in the process of verification and so I can’t fund the account or trade, and anyway the FAQ indicates that trading ATL will occur after the ICO is complete. Total Supply of ATL tokens will be limited to 150,000,000. Unsold Tokens will be burned. ICO Price ($.67 – $.80) If you buy before 10% of the tokens are sold, then you will get 505 tokens for 1 Ether, which is about $340 at the moment. If you wait until the last 90%, you will get about 425. So the range you may pay for these tokens during the sale is between $.67 and $80 per token. The Most important question here is with respect to SEC Compliance. It should be understood that the first mission listed on the Security and Exchange Commission’s website is to protect the investor. However, with respect to ICO’s the most important question to ask is whether the SEC would consider the ICO a “Security Offering” in the legal sense. Because if it is, and it’s not filed as such with the SEC, then regardless of whether the ICO actually is a Security or not, targeting by the SEC could at the very least severely impede the progress of the project you are investing in. So as investor’s, it’s in our best interest to discern whether the ICO would be considered a Security by the SEC. Speculation is discouraged. In more than one place in the whitepaper it is pointed out that there is “No Passive Expectation of income solely for holding ATL tokens” – while the grammar may be slightly off, the meaning is clear. Voting rights for token holders to make operational decisions for the platform, as well as the token providing an operational use – both implying that the token holders have an active stake in the operations of the network. This is expressed in several places in the whitepaper, from powerful and wide-ranging voting rights to workers using the network and running nodes. Howey Test (Token Holders can change elements of the network) result is a score of “30” which is deemed “unlikely” to be treated as a security. Technology – Github has 14 repositories of code, with token contracts, pre-sale contracts, an altant and adex (that’s the exchange) clients. Code seems standard and compliant to the Ethereum platform, using web3.js, solidity and go. Significant – the response on BitCoinTalk was generally favorable, and the team seemed to stand up to probing questions pretty well. The best thread was the pre-sale thread, not the bounty thread, which was mainly lists of bounty proof. Slack channel has a lot of activity – a good deal of it positive. On Bitcontalk, the ATLANT got into a minor fight with a competing ICO named Relest, and after reading both whitepapers I can say that there is very little comparison, and they handled themselves well. On Reddit, there was a complaint that the GitHub “leaves a lot to be desired” and the response was that the team only deployes to GitHub when the code is fully tested and ready-to-deploy. And then on September 3rd there was an announcement that the Exchange was live, as well as wallet and smart contracts. ICO Bench rates the ICO at 4.8 stars of 5.
Business Viability – With a $1.4 trillion market, and a 7% fee for listing real estate assets, plus a worker incentive to keep the network running and do the arbitration work for rentals, the business model seems lucrative. However, the gotcha below deflates those number just a bit. Open to US Investment – the Pre-sale terms indicated that US citizens would not be able to participate. This may be the same for the ICO, but please understand that as a US citizen you will have access to exchanges where you can purchase the tokens, so it’s not like you won’t be able to participate in the network. The whitepaper, as well as discussions posted on YouTube mention the $1.4 Trillion transactional volume of real estate on an annual basis, and the implication is that a very small slice of that market share would be needed to capture significant revenue. With a 7% listing fee for an asset, lets run the number where ATLANT manages to capture just 1% of this massive market. That would amount to $980,000,000 in fees alone. That’s quite a goal to aspire to, but there’s a slight flaw in that math in that the whitepaper mentions that the minimum value for the listing of a real estate asset would be $20,000,000 dollars. So the real market that ATLANT would be disrupting would be closer to 1% of the $1.4 Trillion. This is a much more modest number – closer to about $10,000,000 in fees. Now granted, that’s only half the business – the other half is the Peer-to-Peer rental market, and that market could yield some large numbers, particularly if ATLANT makes deep inroads to the market share that AirBnB has already captured. One might wonder why they shut out all real estate less than $20M – but it kind of makes sense. We don’t, after all, want every three bedroom, 2-bath family of four to suddenly start tokenizing their homes. That might be disruptive in a bad way. So it makes sense – but it does take a little air out of the $1.4 Trillion dollar volume that sounds so very large when first mentioned. Another point that a person knowledgeable in real estate made BitCoinTalk is that operationally, it’s difficult enough to collectively manage a piece of real estate – like a building where capital decisions must be made from time to time. This person’s point was that with a decentralized group of investors, it will be even more difficult. The counter point from ATLANT was that this is done by co-ops already and not very well – and the counter to that was that at least the co-op owners live in the building. So – certainly an interesting conversation with respect to the business model. One slight disappointment that I saw was that as soon as ATLANT got wind that this person was a US resident, they asked him to stop “participating” since ATLANT ICO is not accepting US persons at this time. To which the person responded by the fact that he could purchase tokens anytime after the ICO, and that he was, in fact, entitled to make comments on the thread. This ICO has all the hallmarks of a professionally planned and responsibly-delivered project. I have looked at competing real estate ICO’s and I don’t see anything with this level of depth in the whitepaper and response form the community. I think as ICO’s, it should be seriously considered and worth the effort to perform the due diligence to make your own decision to participate. ICO 41 does the heavy lifting for you - selects an Initial Coin Offering each week and provides a 41 minute podcast that you can listen to at your convenience.